Here's the deal. When you are testing recipes, sometimes you end up with extra layers of cake. Even good, high-demand cakes, like red velvet. 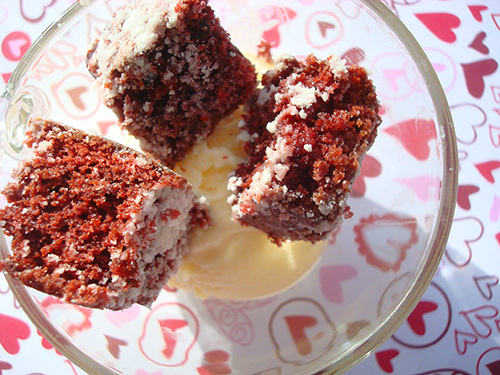 I realize that having extra, leftover red velvet cake layers sounds like a luxury--nay, an impossibility. How could a red velvet cake layer be around the house and not be slathered in cream cheese and eaten? But, well, it did happen. Maybe never again, but it did happen just this once. And I have come up with the most brilliant solution for using this cake. 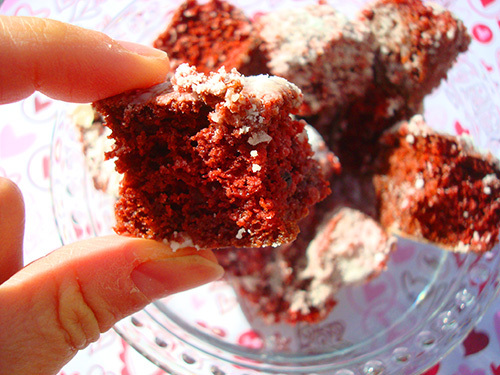 It started with the idea that I would do a sort of twice-baked thing with the cake cubes: red velvet croutons! Why not--you could eat them like cookies, right? 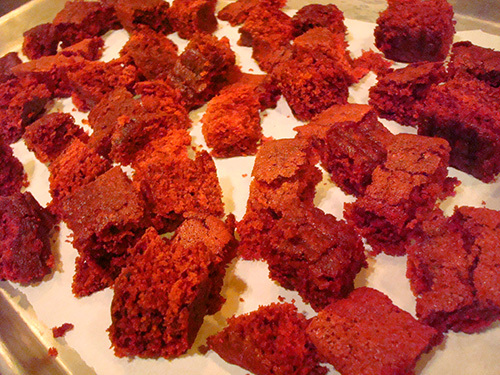 So I put a bunch of red velvet cake cubes on a baking sheet, drizzled it with butter and confectioners' sugar, and put it in the oven until it was all nice and crispy. but then, I realized that hey, I could probably put milk on these and eat them as cereal. 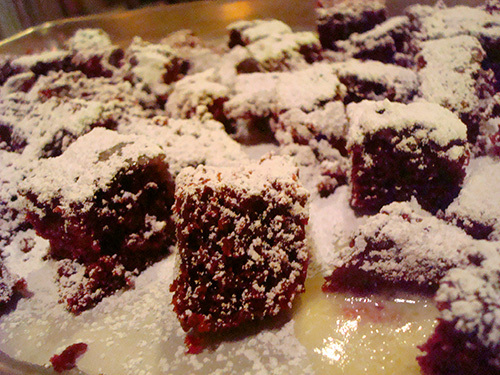 And after that moment, all other uses for these red velvet cubes of joy disappeared. Because clearly, red velvet cereal was the winner. Not quite a believer yet? 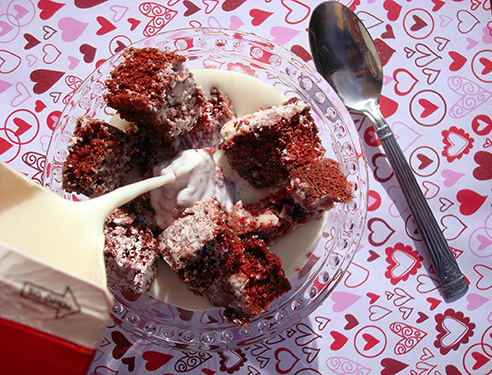 Well, let me try to sway your affections by telling you some of the distinct advantages of red velvet cereal. It is toasty, but the cubes soften quickly in the milk to a lightly crisp, pleasing consistency. Since I've used high quality ingredients and employed homemade red velvet cake, that this might even be healthier than, say, Cookie Crisp or Froot Loops. It certainly has less hard-to-pronounce ingredients. It tints the milk a light and beautiful pink. It has the advantages of cake for breakfast, but carries less possibility of harsh judgment because it is cereal. 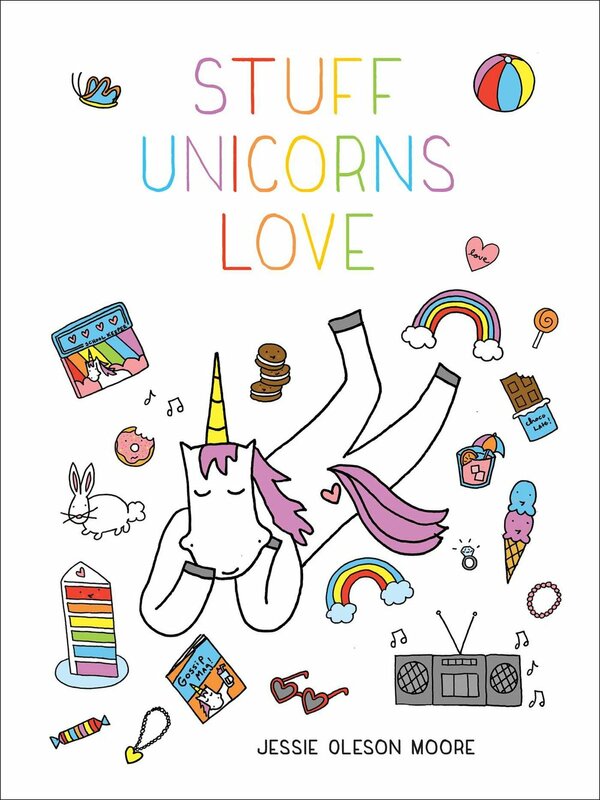 If you'd like to make this magic happen at home, here's how you do it. Cut the cake into cubes, about 1 inch. Place them on the baking sheet. Drizzle with butter, and dust with confectioners' sugar. Place in the preheated oven. Heat for 20 minutes, then remove from the oven and flip the croutons. Put back in the oven for 20 more minutes, or until nice and crispy. 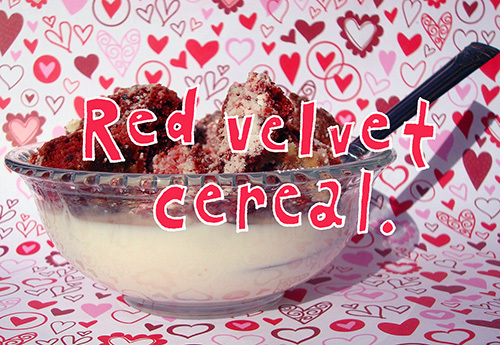 Would you eat red velvet cereal?